Doctor Who’s four-part The Macra Terror first hit British airwaves 52 years ago. Unfortunately for Whovians, the sci-fi series’ fanbase, it was one of the 97 episodes lost by the BBC. Luckily, a viewer recorded the audio at home, which became the foundation for an animated revival. 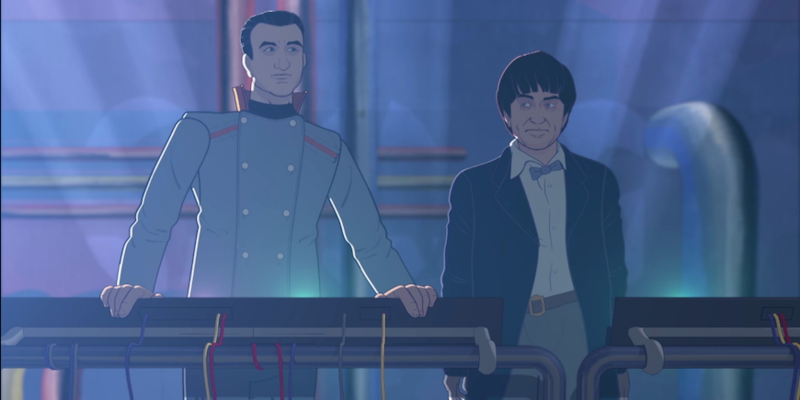 Comprising four 25-minute segments, Doctor Who: The Macra Terror was produced in Toon Boom Harmony animation software by Sun & Moon Studios in Bristol, UK. With much fan anticipation, it’s set to be released as a DVD and Blu-ray on March 25 in the UK. 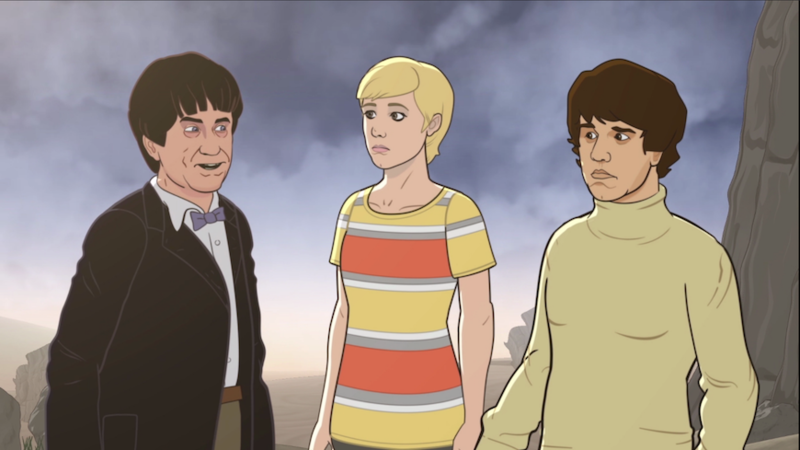 The Macra Terror serial is the latest from the cult classic series to be given the cartoon treatment — the previous two editions being “Shada” and “The Power of the Daleks”. Broadcast in four weekly parts between March 11 and April 1, 1967, the original The Macra Terror followed Doctor Who and his companions as they visited a utopian human colony secretly run by giant, parasitic crab creatures known as the Macra. The missing serial was notably black-and-white with the monsters allegedly represented by clunky immobile props, while the cartoon revival is in colour with fully animated horrors. Having worked with animators spread across the UK on the last two toons, the BBC decided to collaborate with a studio for Doctor Who: The Macra Terror. Sun & Moon were one of the studios recommended for the project and, upon completing an animation test, began production immediately. With the original video lost forever, all its team had to work with was the aforementioned audio recording, a handful of photographs and footage that had been censored in Australia. Sun & Moon Studios was additionally given the storyboards and animatics, and was tasked with building the character designs and then animating them. 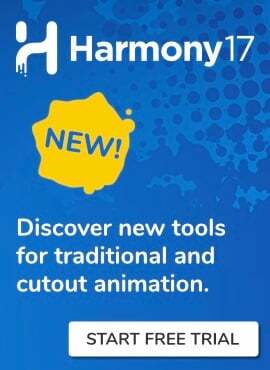 Its team had never used Toon Boom Harmony before but, having recently done a training course with Adam Oliver, knew it was extremely series-friendly and would streamline production of the four 25-minute episodes. 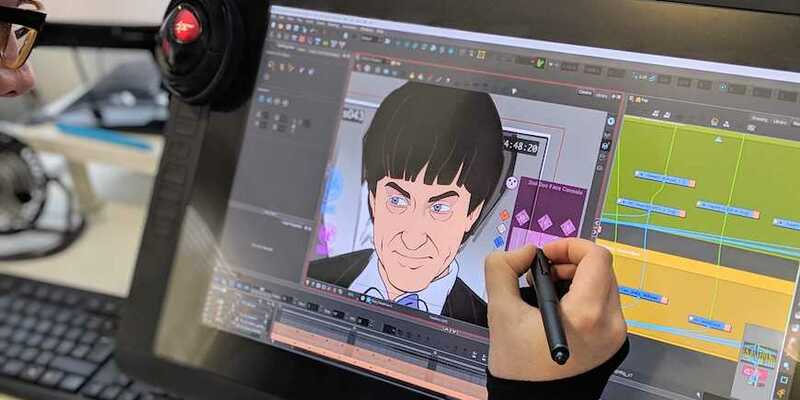 “It was a bit of a risk as we had never used [Toon Boom Harmony] and it was to do this high-profile project, but we learned a lot in a very short space of time. We had faith in it and we’re very happy with the results,” says Dylan Shipley, co-founder of Sun & Moon Studios. Other Harmony features that made production more efficient included the nodes for exporting separate passes and characters, plus the display nodes for showcasing complex rigs and speeding up playback. Transformation switches also allowed for IK and FK legs, depending on what was needed in the shot, while using curve and envelope deformers allowed the animators to get the most out of a single character drawing. Additionally, layers with Z-depth meant artists didn’t have to unnecessarily duplicate artwork when moving objects behind bodies. Once the Doctor had been built and rigged, his rig was repurposed for the 20-plus other characters — many of which were wearing similar uniforms to each other and could be updated quickly and easily with Harmony’s colour override feature. In total, the studio had 12 animators working on the project over the course of seven months of production. According to Jones, Sun & Moon was producing 90 shots per week at one point. To keep production on-track, the studio’s team also would consult the free Toon Boom Learn Portal for skills training as well as consult Toon Boom’s in-house animation specialist, Genevieve Demers. “Tech support was incredible throughout; we had custom scripts written for us which made exporting our shots easier and sped up the program to accommodate our rigs,” Keeble says. With over 90 Doctor Who missing episodes remaining, hopefully this will be the first trip of many for the Sun & Moon Studios team in the TARDIS — and in Toon Boom Harmony. The Macra Terror will be released on DVD, Blu-ray and digital download on the March 25, 2019. Ready to start your Harmony adventure? Learn animation skills for free on the Toon Boom Learn Portal!